Search engine optimization is like a spider web with interconnecting lines. These structures emphasize the routes to the various methods on how to improve the SEO application. There are vast ways to build the best site, rank, responsiveness, functionality, and design. It highly depends on the knowledge, tools, apps, security, and plugins to come up with an optimized and successful website. It is important to keep pace with the trends and surround yourself with the latest technology and applications to build the best website. In the recent updates, there’s a unique and popular plugin tool which causes a clamor in the SEO community. Some web developers, bloggers, and digital marketers may ignore this plugin because they thought that it’s just a basic tool. Have you heard about the breadcrumbs? It obviously sounds familiar but it’s not the thing that you commonly knew. It has something to do with the SEO stuff and we will it more to fully understand its importance. Let’s go over and check it’s featured. A breadcrumb is a small text path that guides the viewers in navigating the web page. Using this tool, the viewers know their current position on the web page. They will also know what to click if they decided to go back to the home page. It also gives them the ideas on which categories to navigate when they search. The breadcrumb is also clickable which eases the access and pathways to the related pages. As an argument to this tool, some developers do not use it because they thought that it has no impact in the SEO. 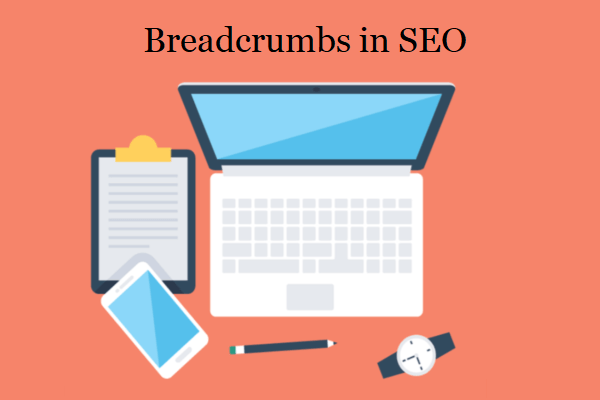 Little did they know, that breadcrumbs have a vital role in relation to the SEO. What are the types of breadcrumbs? Multilevel companies, service providers, suppliers, and other related firms are taking advantage of the hierarchy or location-based breadcrumbs. It displays a series of navigation paths and helps the user directly click on the product or service’s location effortlessly. The best SEO quotes offered for the SEO and breadcrumbs can be available through various SEO applications and plugins such as WordPress’ Yoast SEO premium plugins, SEO Press, The SEO Framework, and SEO Pressor. What are the benefits of using the breadcrumbs? Users find it convenient to navigate the web page with user directories so that they can filter, go forward, or return to the home page. It is technically the main usage of the breadcrumbs as mentioned in the foregoing discussions. These types can all be used to design and improve the user’s experience in visiting the site. It also saves up the time for the user to navigate the page. Furthermore, it helps the developer to have abundant space for its website because the developer does not need to create some programming codes to display the succeeding page. Breadcrumbs can be easily detected using various search engines such as Google. When the user types the keyword in the search bar, the Google will find and analyze the keyword and hunt it over in all websites. It will display multiple websites in which the keyword was detected. Thereafter, these websites will be ranked on the browsers and the website that has the best SEO will appear on the first page. Using breadcrumbs, it helps the website to have a structure. It serves as the backbone for the directories of the site. In this way, it helps the users to visit and revisit the site over-and-over again. Moreover, it increases the popularity of the website and improves its ranking. As a continuation on the 2nd bullet, one of the benefits of using the breadcrumbs, it will help the website to have an average bounce rate. Please take note that the higher or lower bounce rates not mean the site is successful or not. A mid-range bounce rate of 26% to 40% is the best rate to consider. You might be wondering what’s a bounce rate exactly is? In Google analytics, bounce rate refers to the percentage of the visitors viewing on the page of the website and navigates away from the page after viewing it. As if, the viewers didn’t take time to navigate or read the entire page. This could have marked as a bad rating in case the viewers exit or find another page that could suffice their interests. It may also mean that the viewers might just proceed with the next page of the website. A higher bounce rate is not a good sign for the website because it denotes that the user did not get satisfied with the page. It is not also convincing that a lower rate would mean a good rate because it really depends on the circumstances. What if you saw a 0% or lower than the 25% bounce rate, what could be the possible reason for this? A low bounce rate may indicate that your webpage cannot be detected by the Google analytics. It could also mean that the codes are not properly programmed or debugged which may cause the website to become nearly unnoticeable to the public.